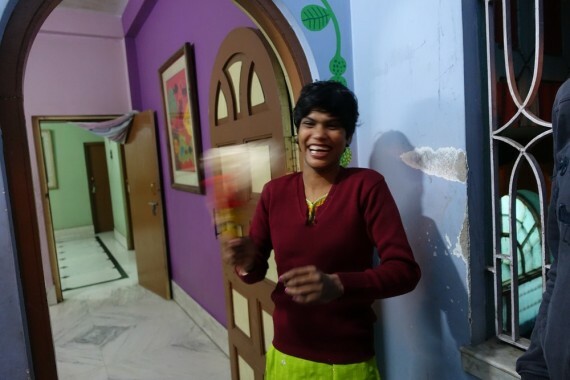 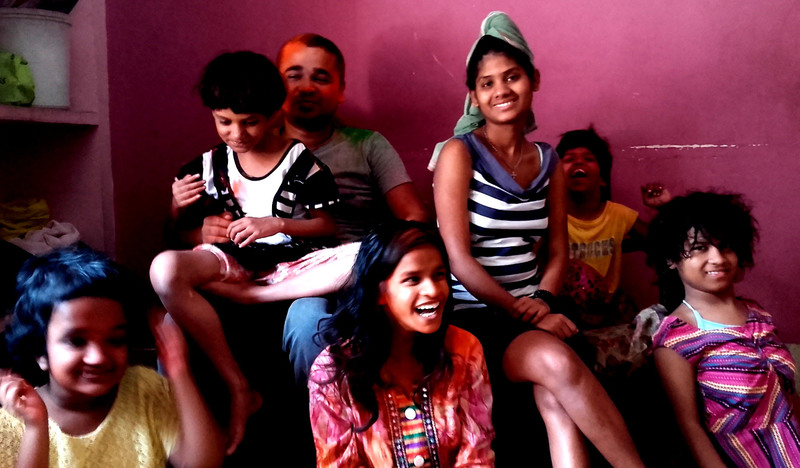 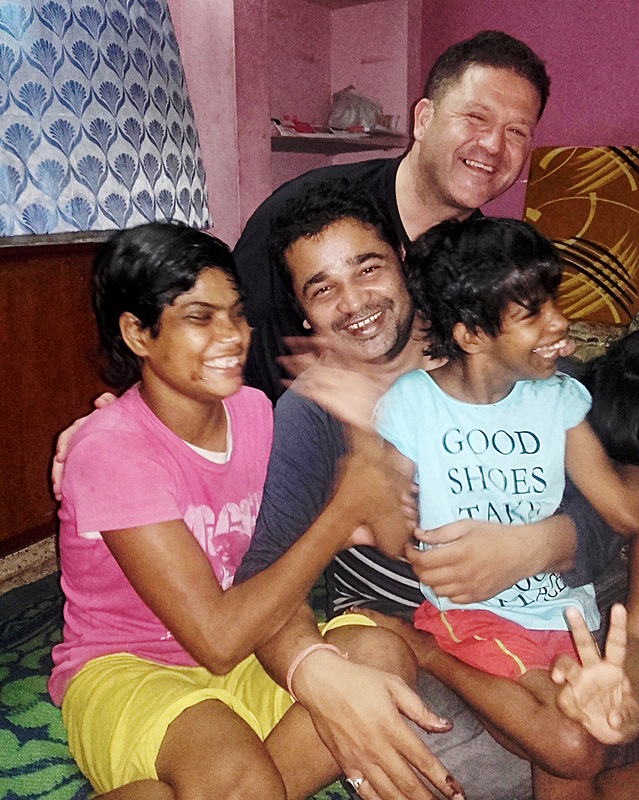 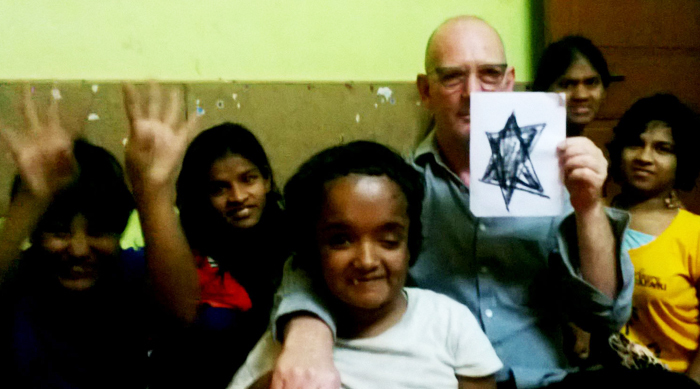 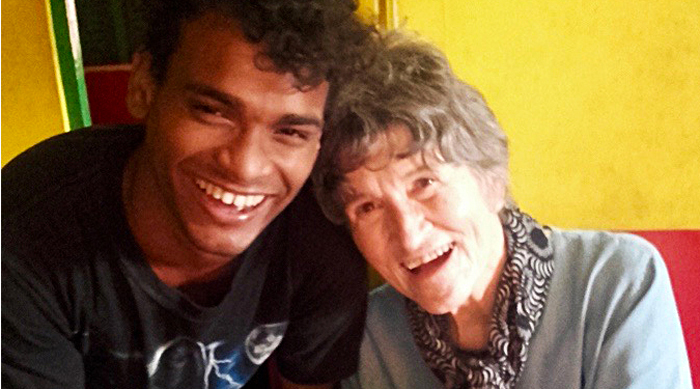 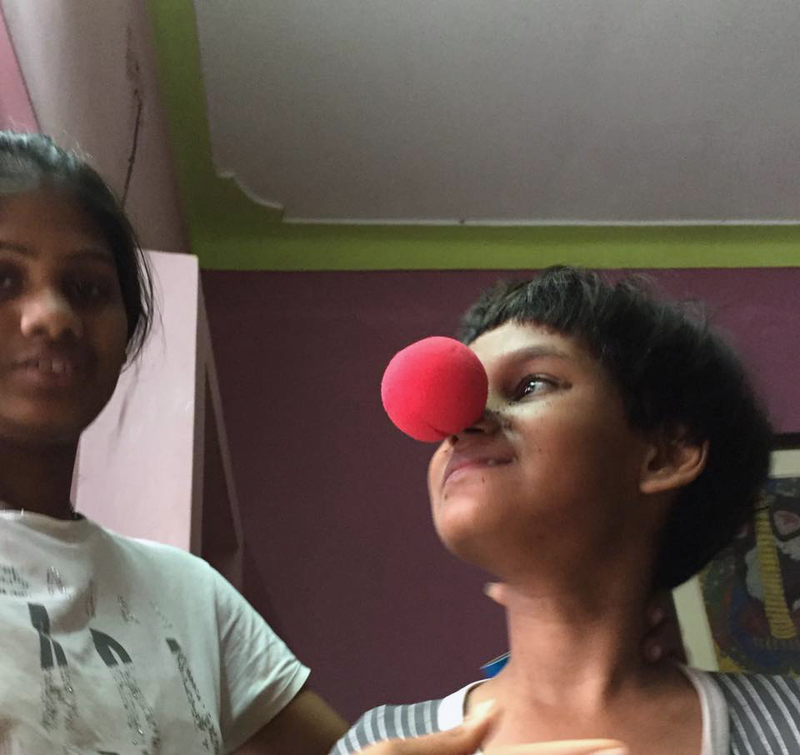 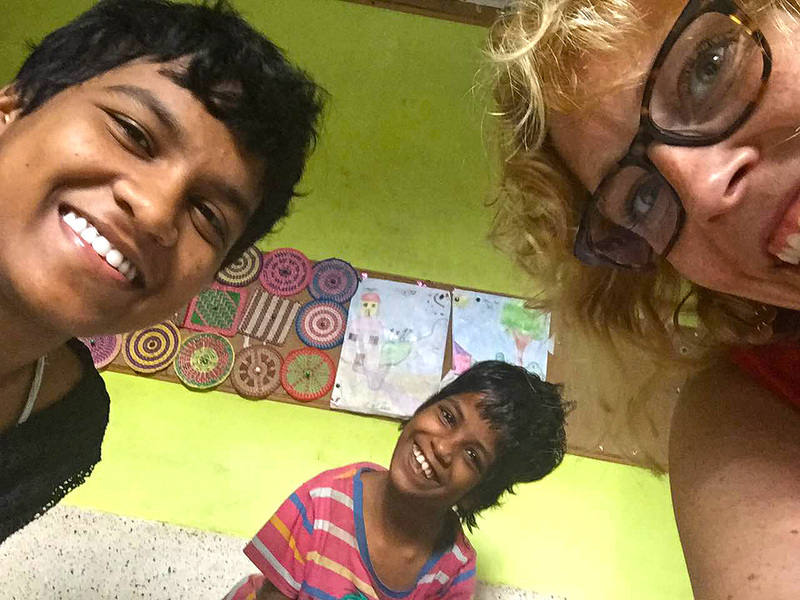 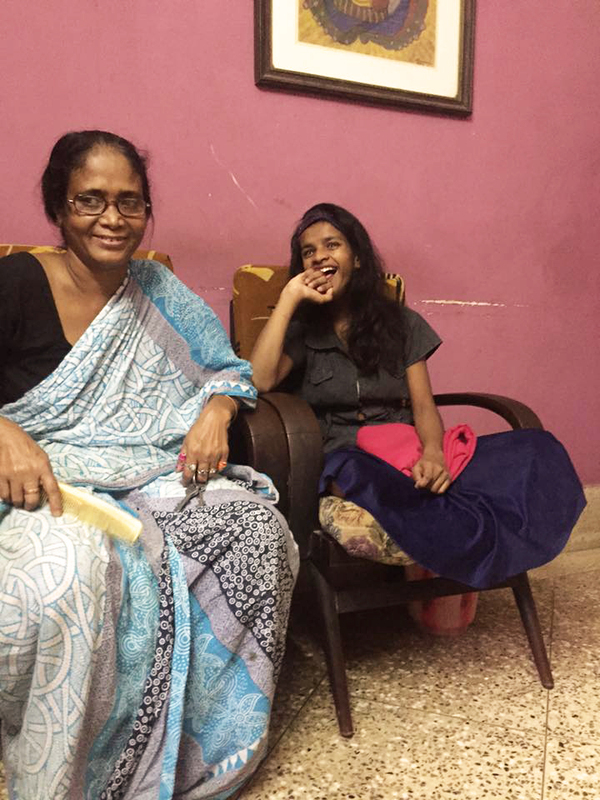 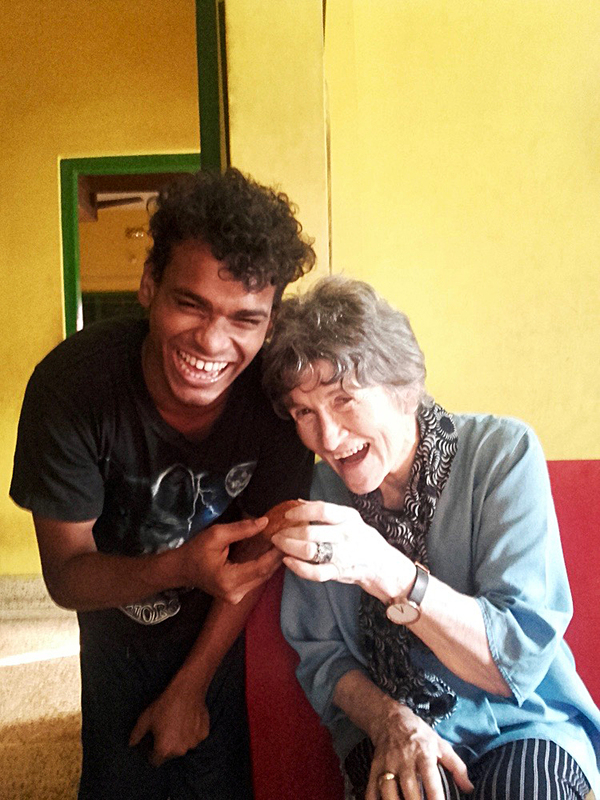 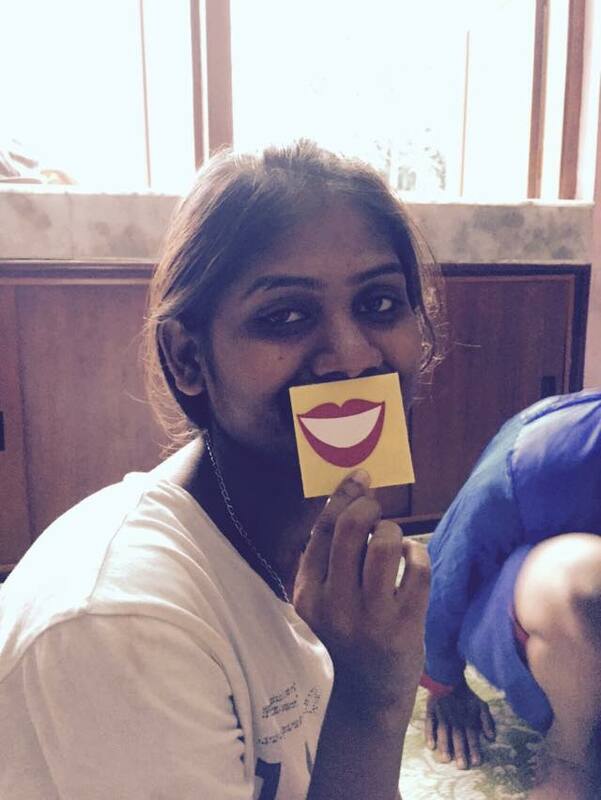 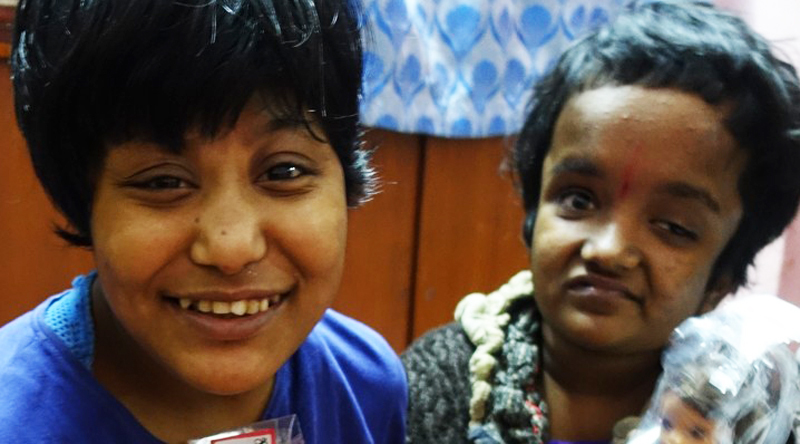 It was wonderful to welcome Sheila Cook to shuktara. 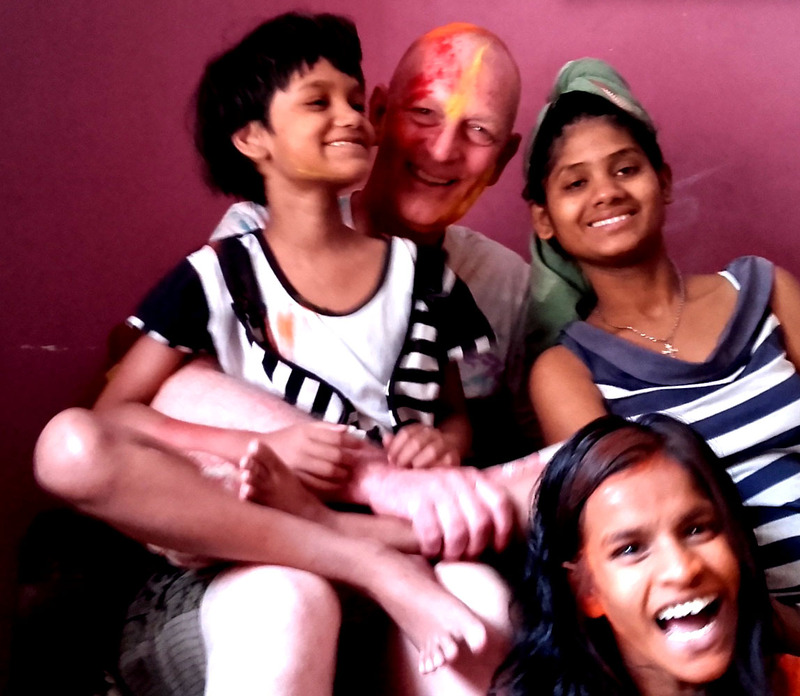 Along with Chris Creagh we had a great day with all of the young people and managed to eat a large amount of cake. 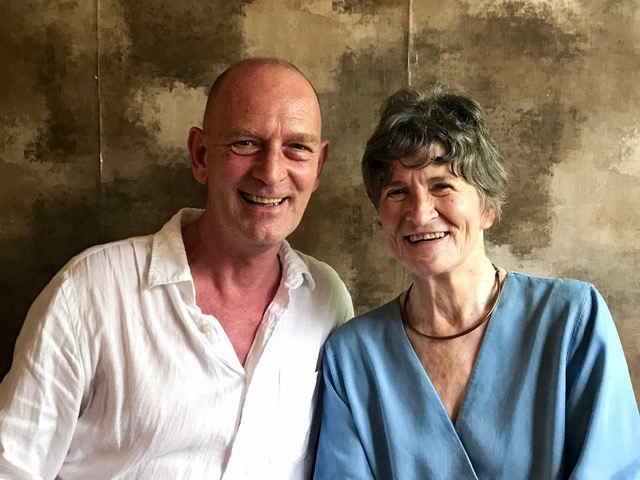 Sheila is a friend of David Earp, who founded shuktara in 1999 and they go back a long way to the days of Portobello Road before he came to India. 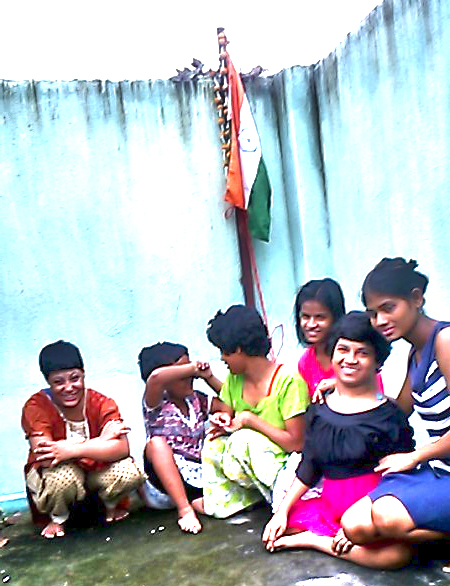 Celebrating Diwali with the girls at Lula Bari yesterday! 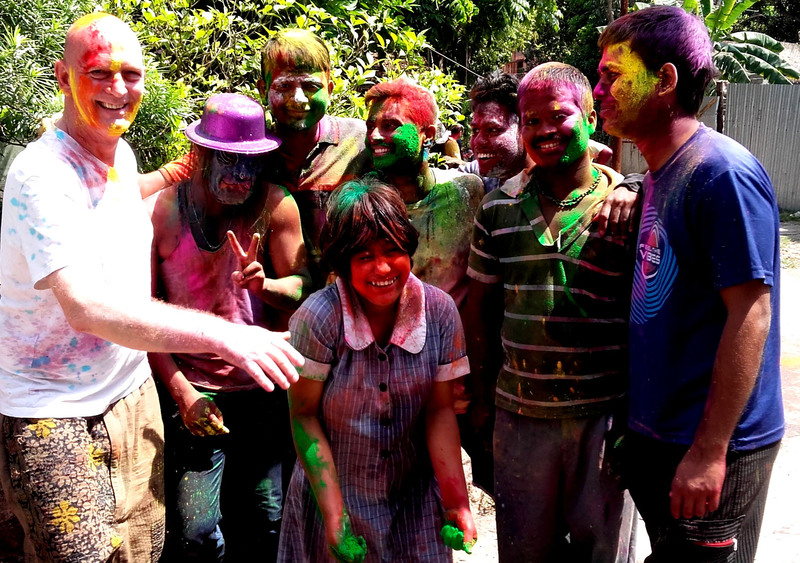 Happy Holi from Lula Bari! 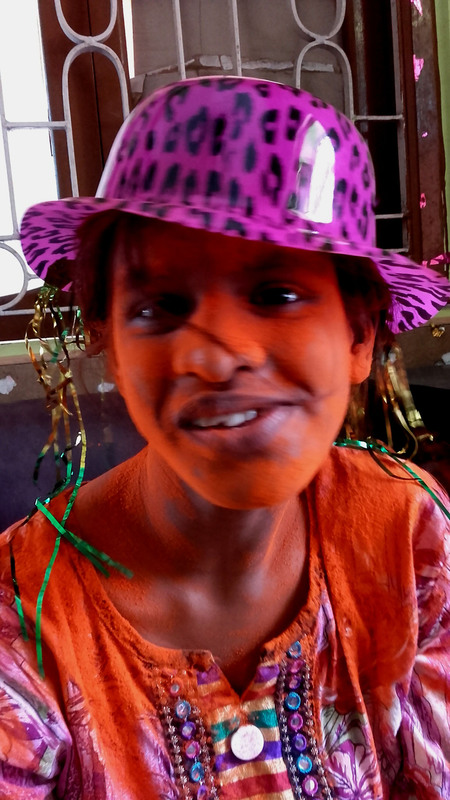 Holi is really a holiday everyone can celebrate - here are some of the girls and young women of Lula Bari to show you just how much fun this festival of colours can be! 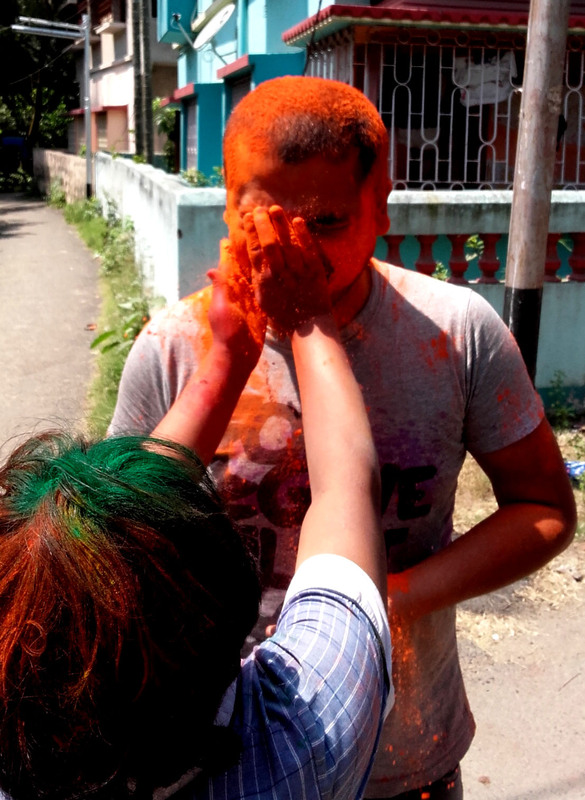 Notice that no one escapes being smeared with colours - not even Pappu or David. 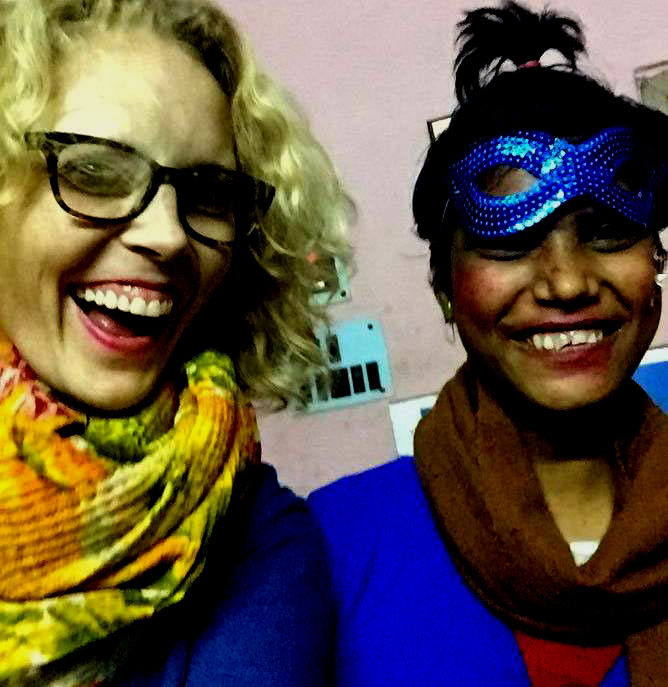 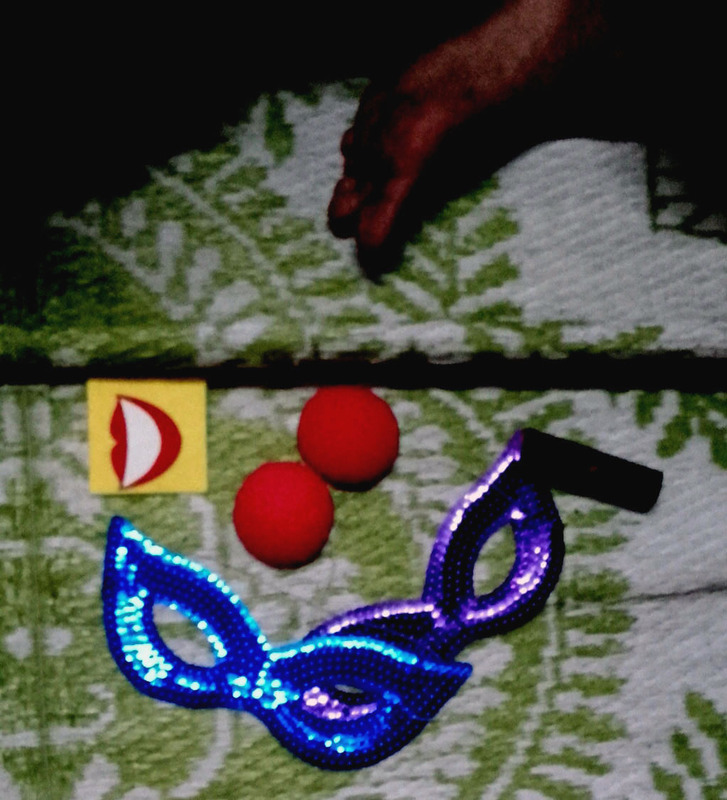 Our friend Sunnie Niklaus from Chicago came to Lula Bari today, armed with a bag full of some magical masks, games and makeup. 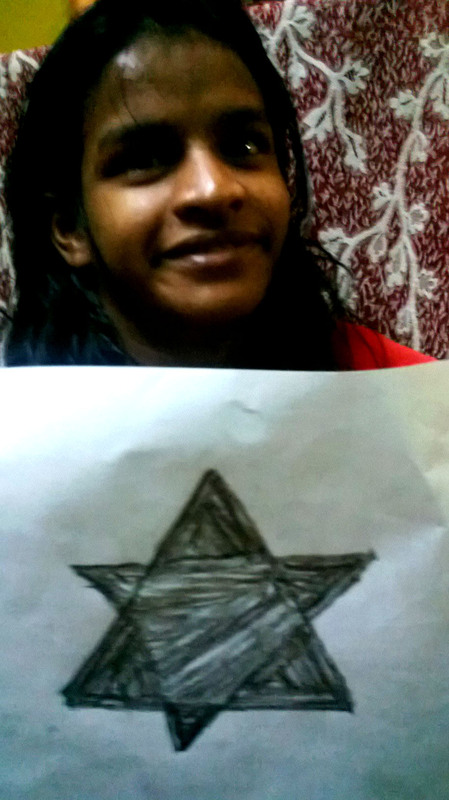 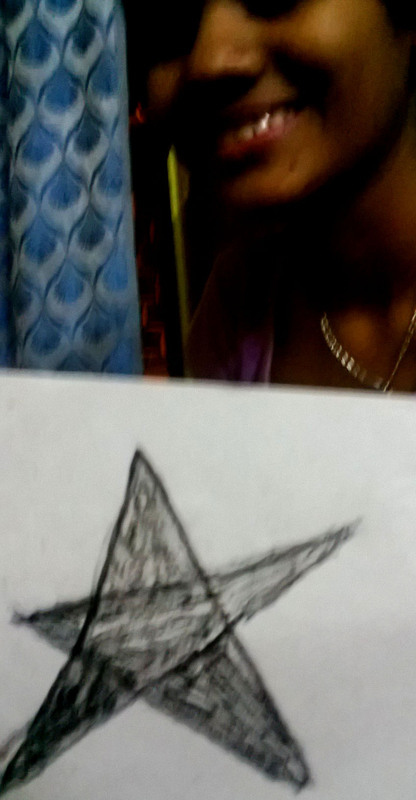 The star has always been our logo and shuktara means "star of happiness", so in memory of David Bowie, we did an interpretation of our logo as Blackstar. 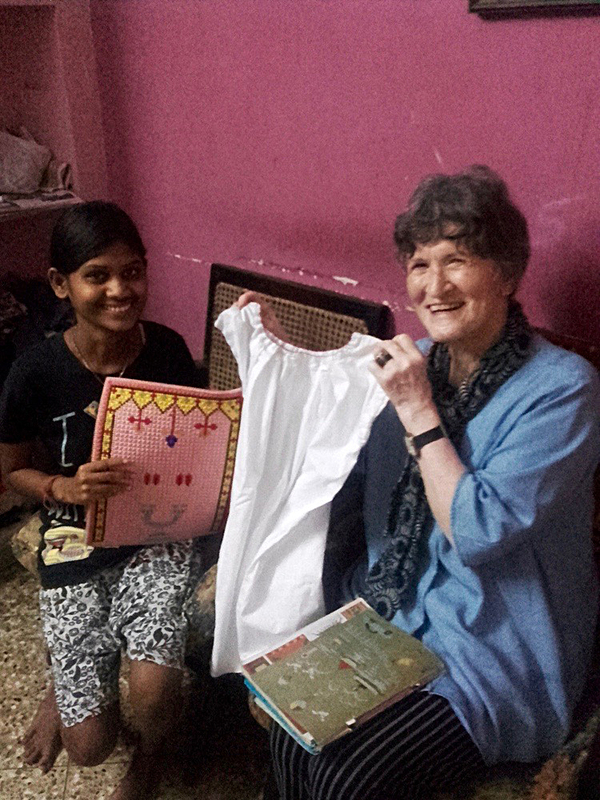 Completely upcycled dolls renamed and reclothed in vintage and brought from Holland to Kolkata by Willeke who started Stichting Help2Help. 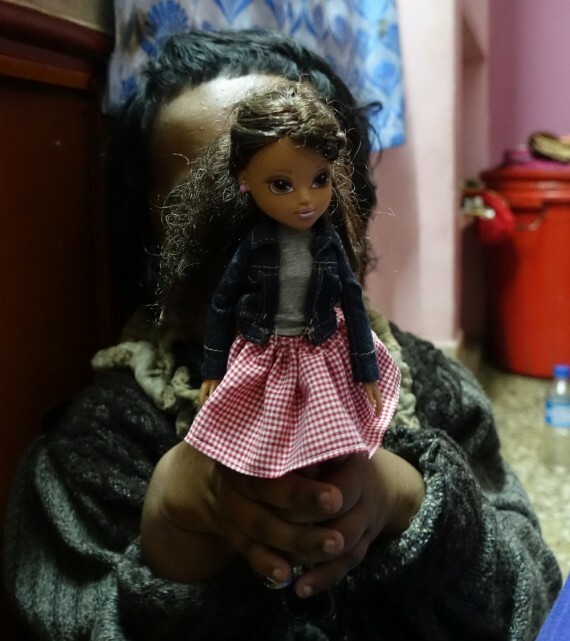 Ellie in Holland had the idea to collect old dolls and make new clothes and give new names for each of them. 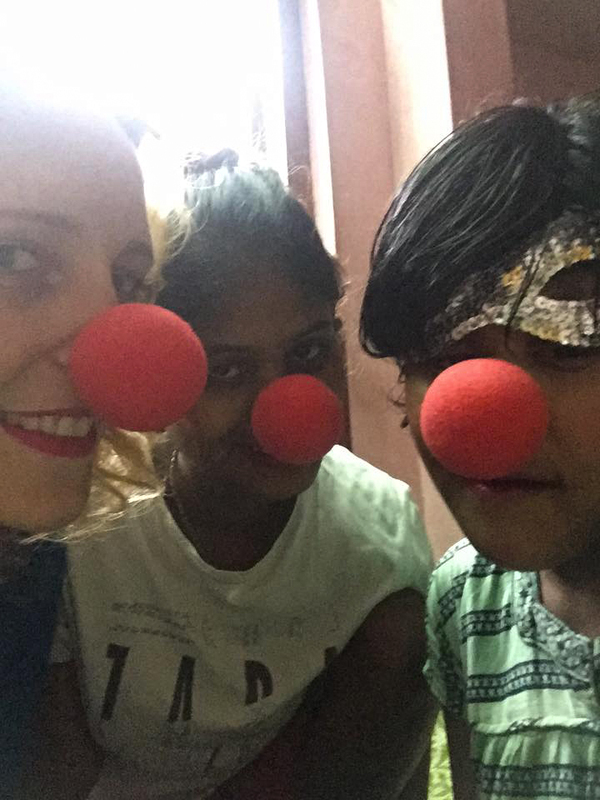 She did this for our friend Willeke and her group Stichting Help2Help to raise money towards the running of our girls home which is called Lula Bari. 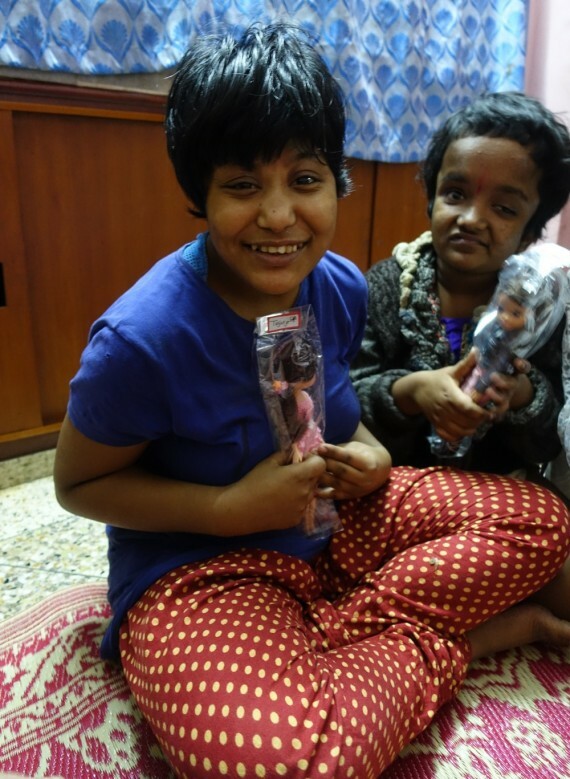 There are more dolls available - contact Maura at mseeds.maura@gmail.com if you would like to donate and receive your Lula Bari doll! 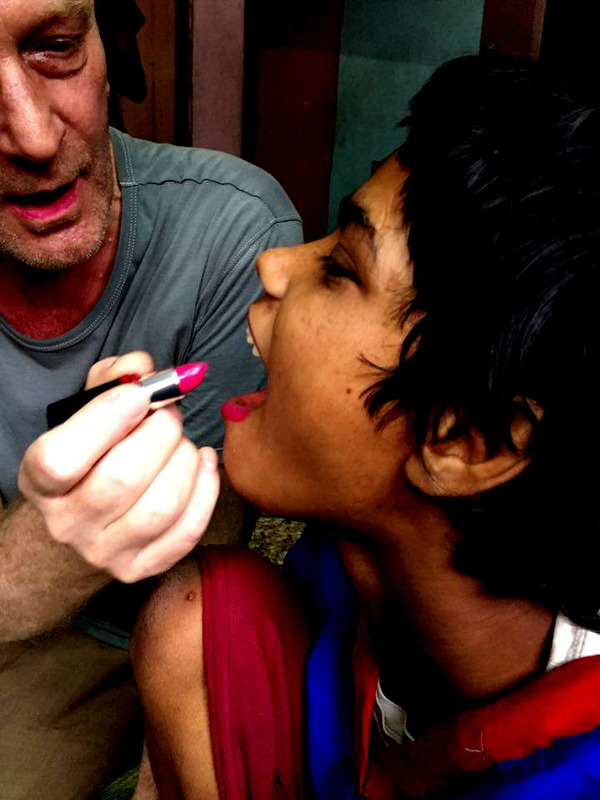 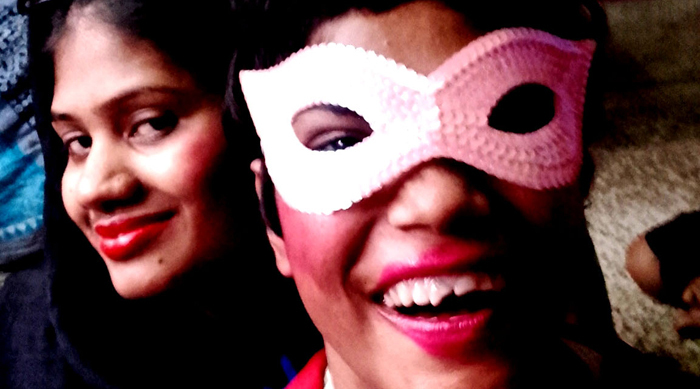 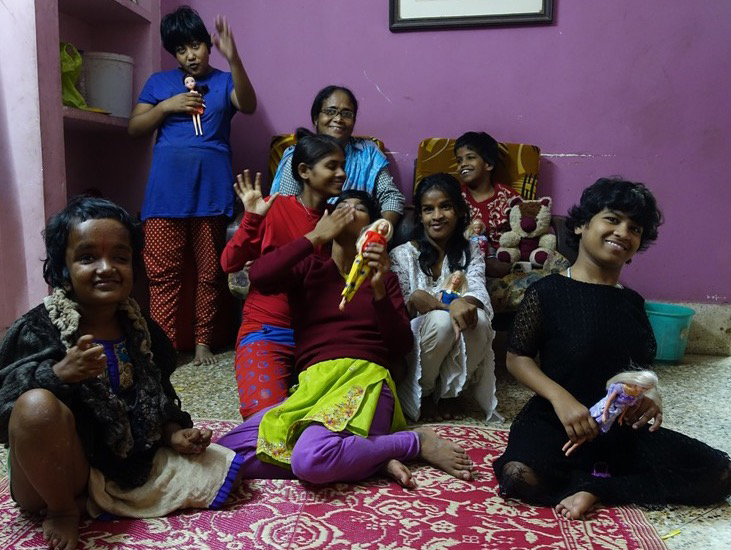 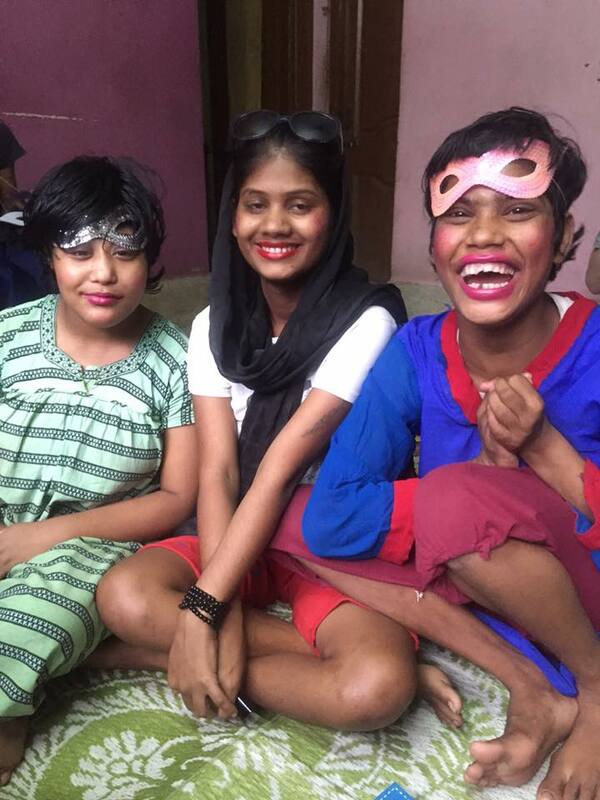 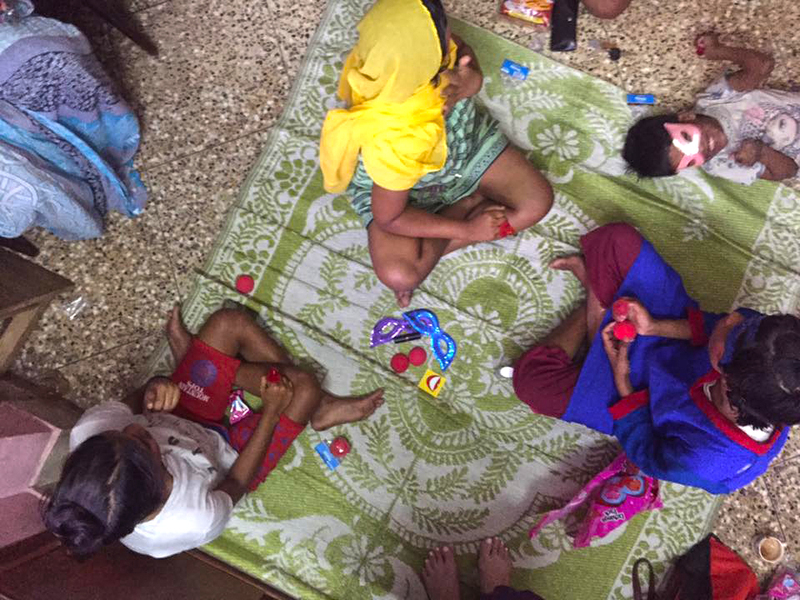 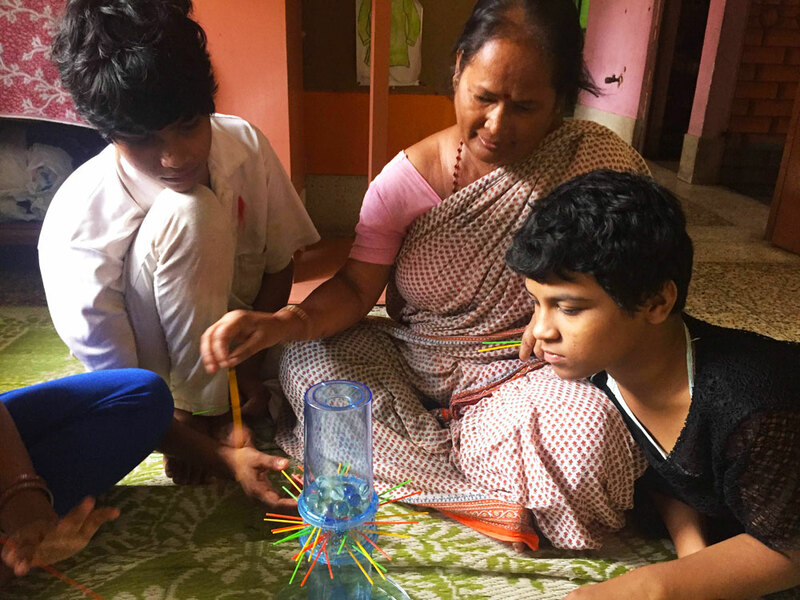 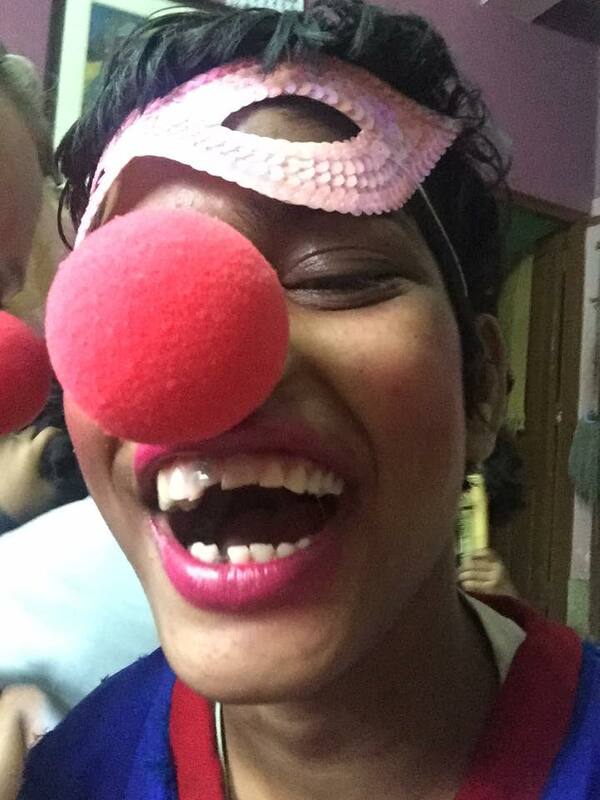 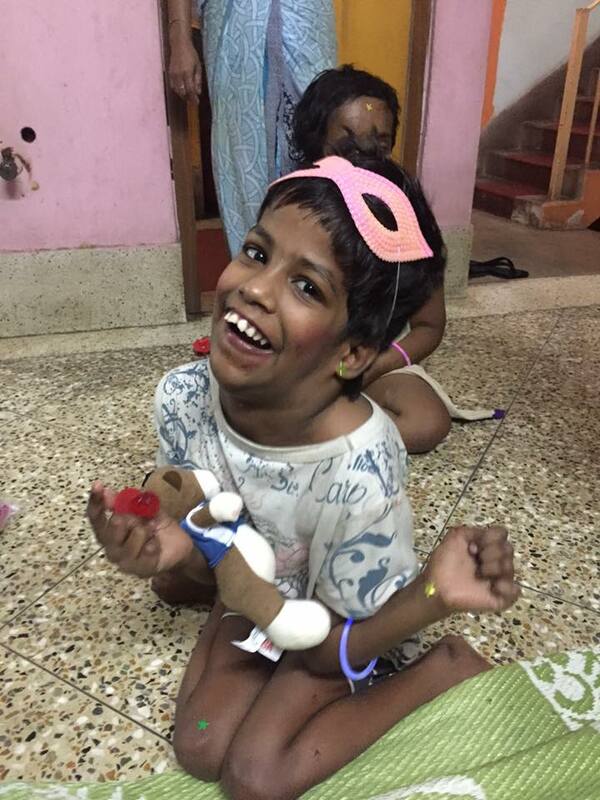 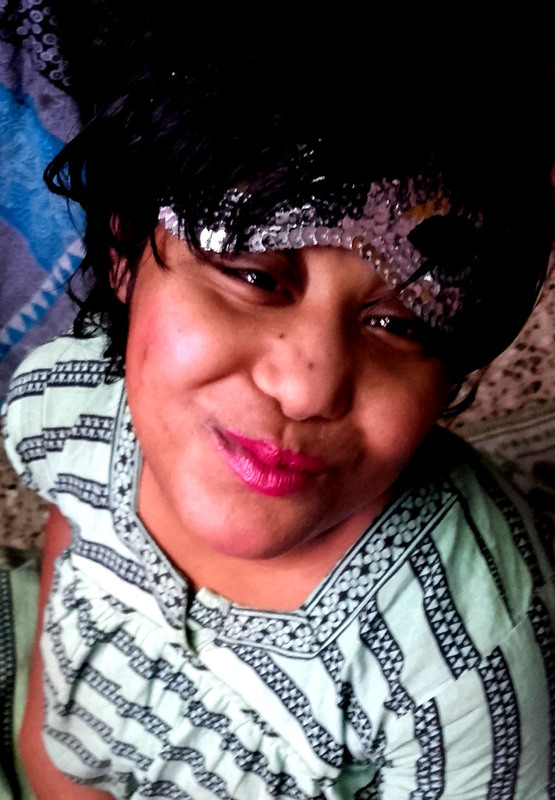 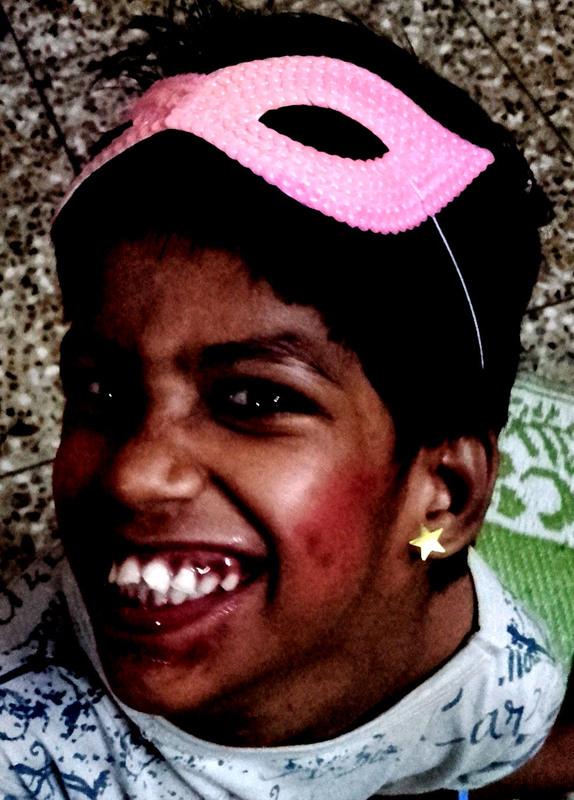 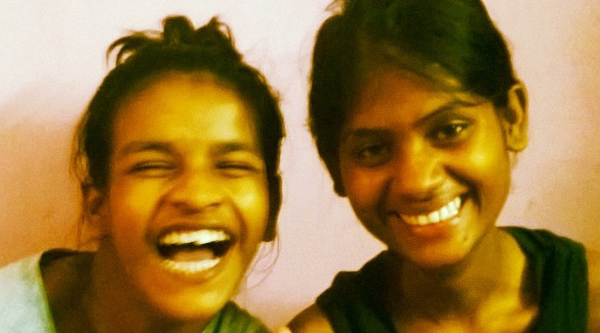 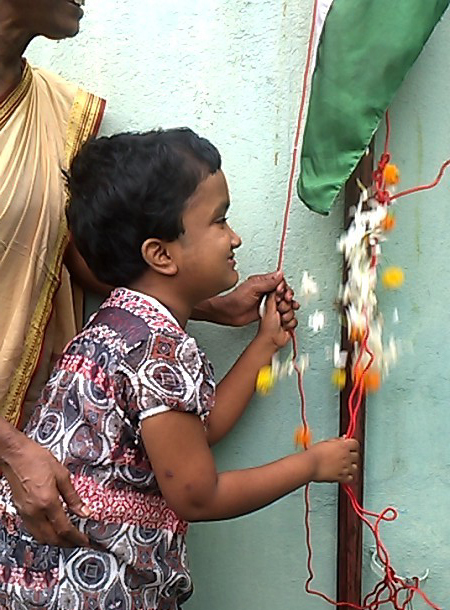 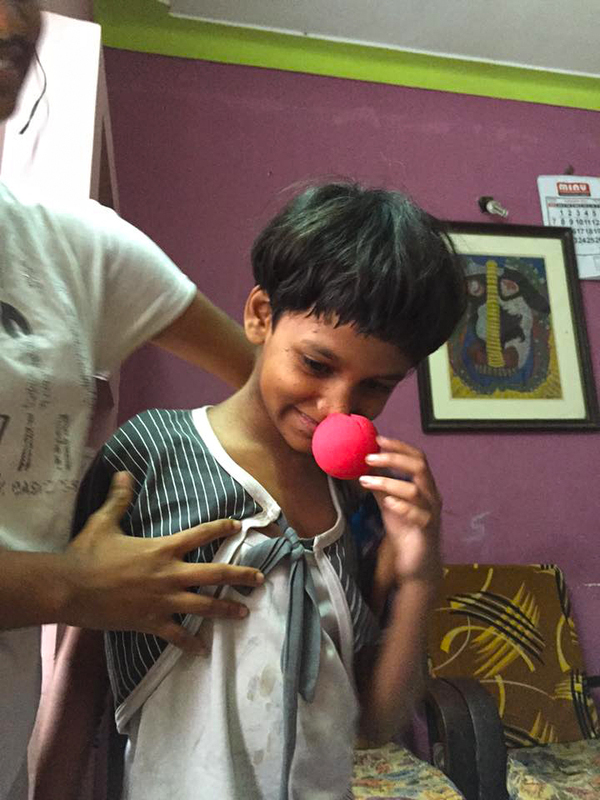 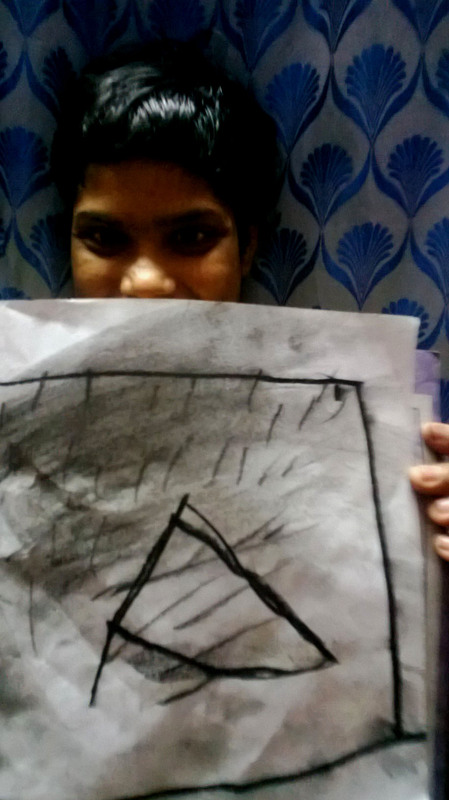 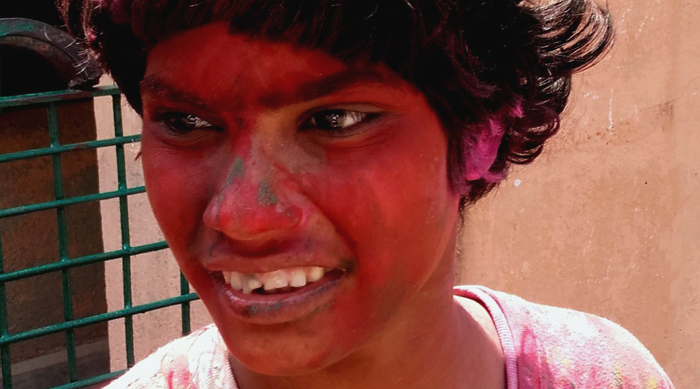 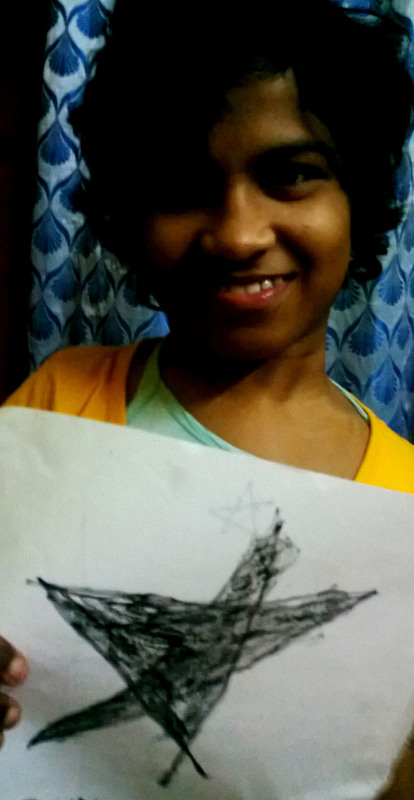 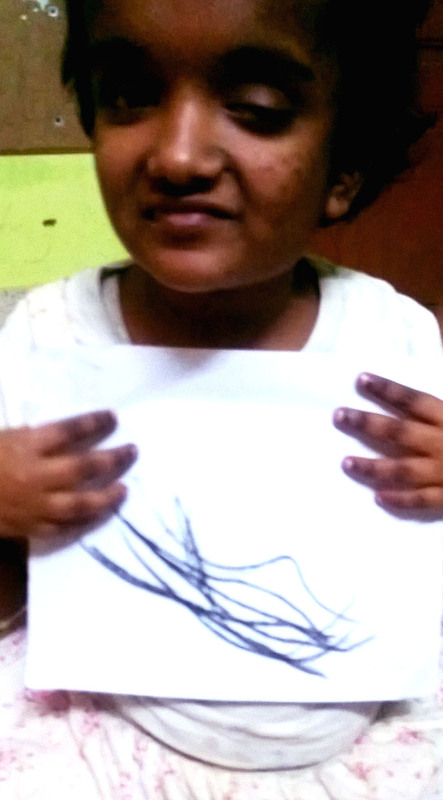 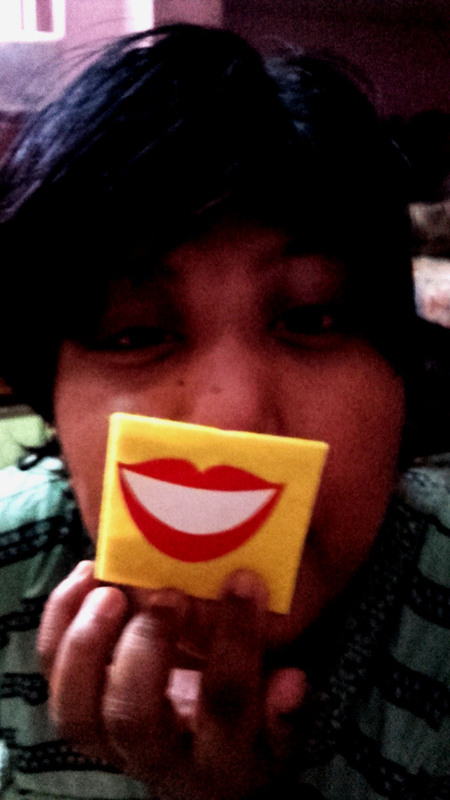 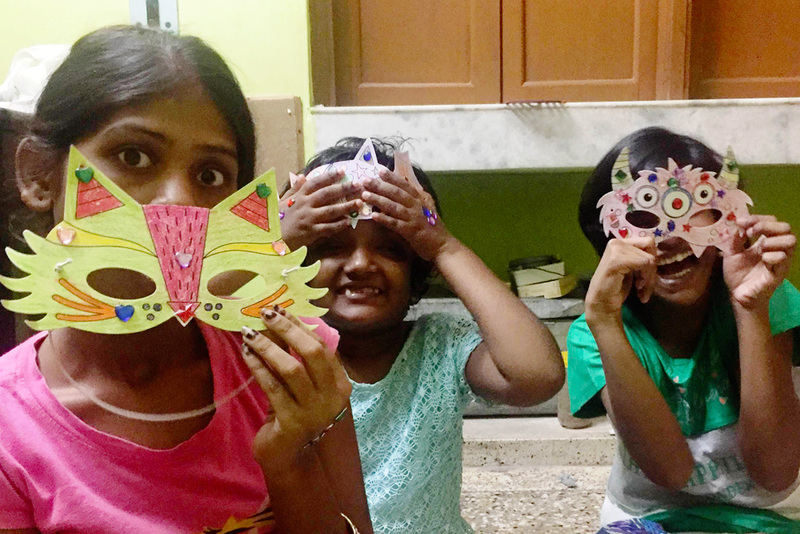 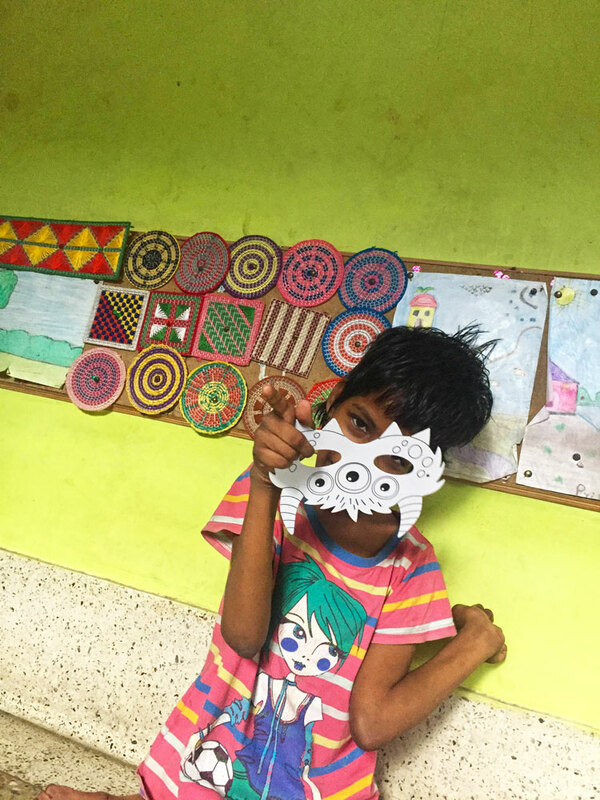 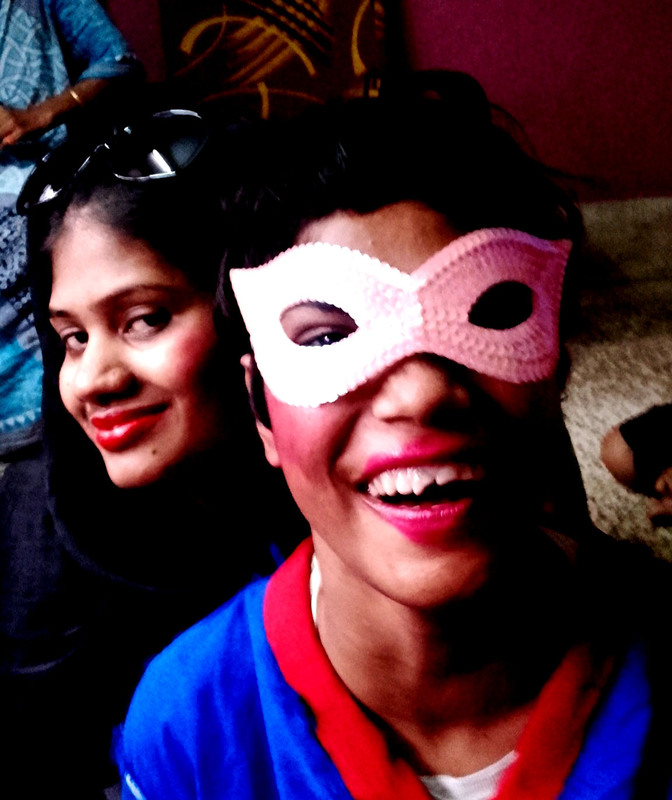 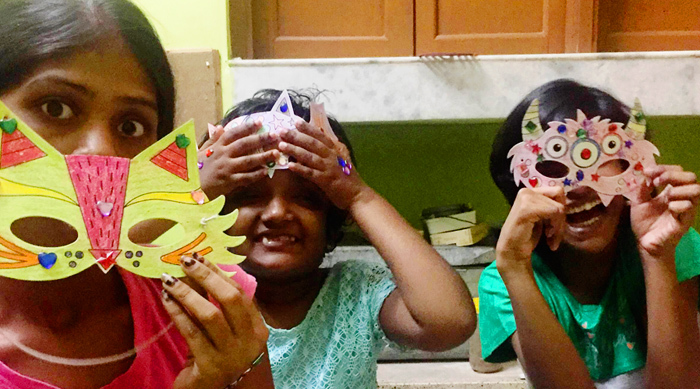 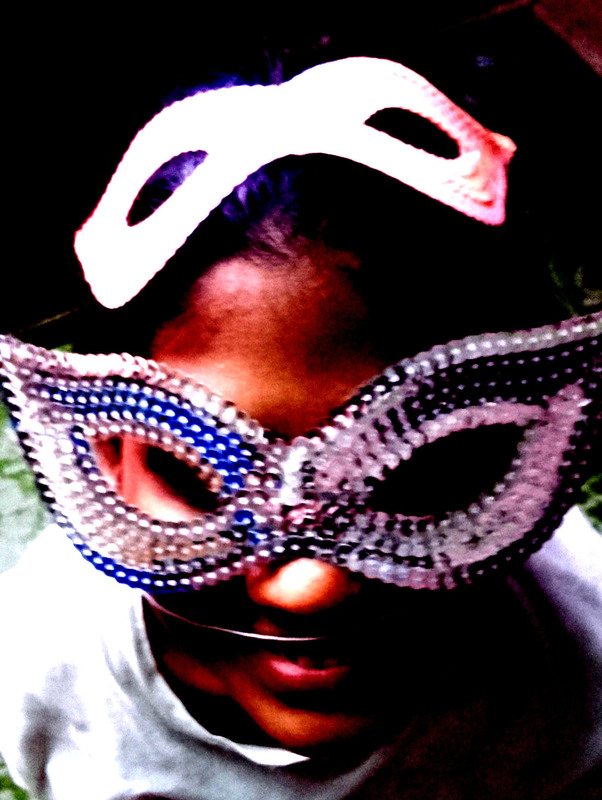 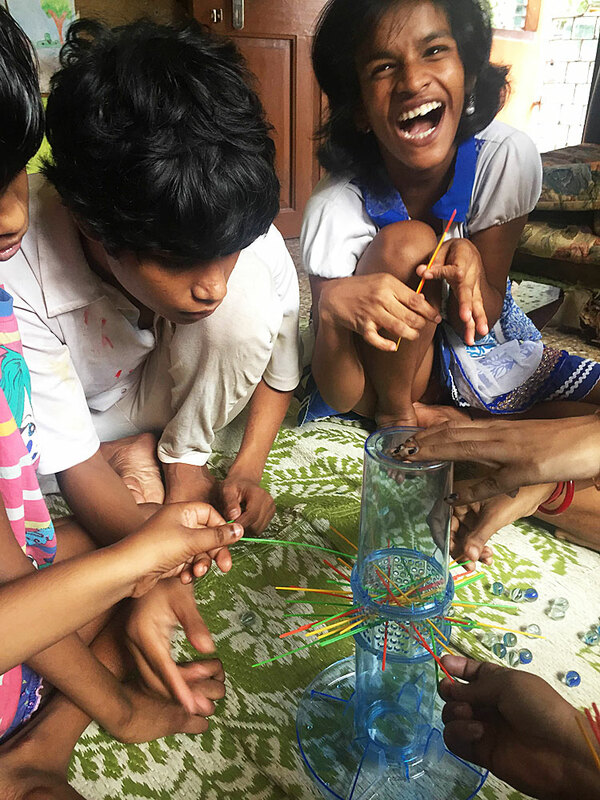 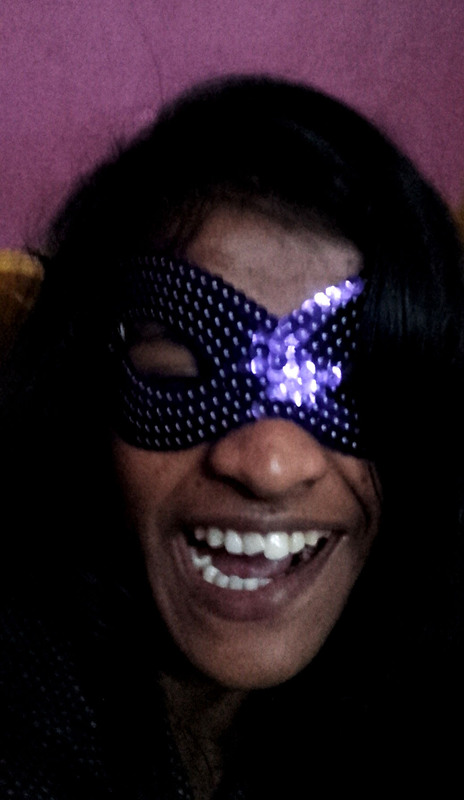 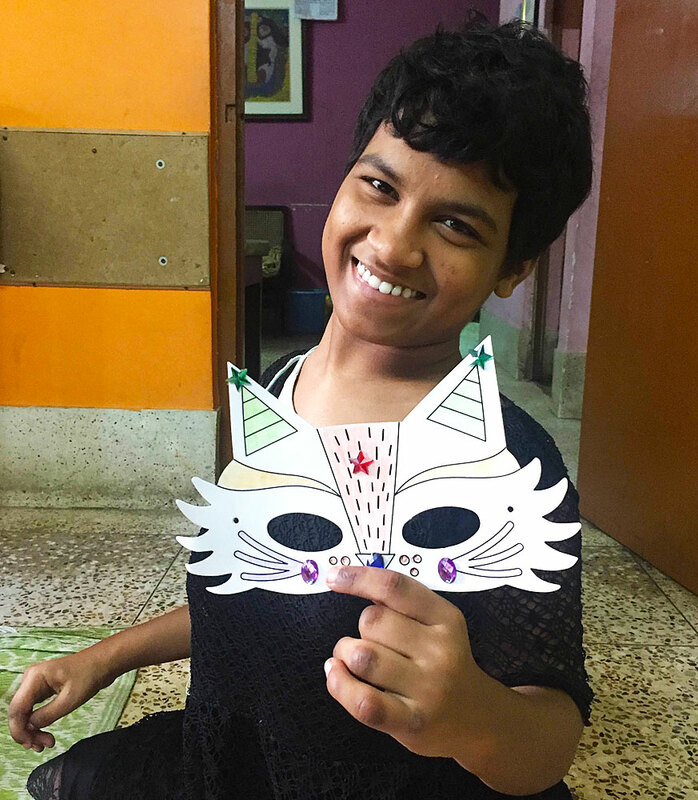 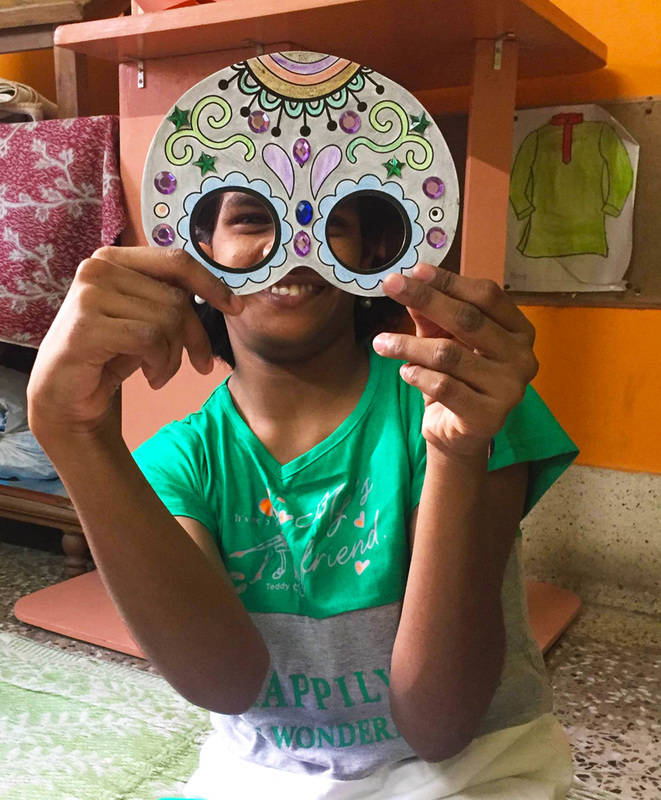 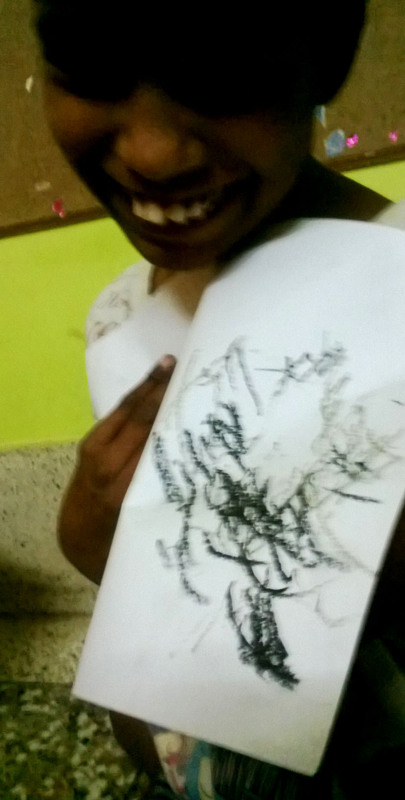 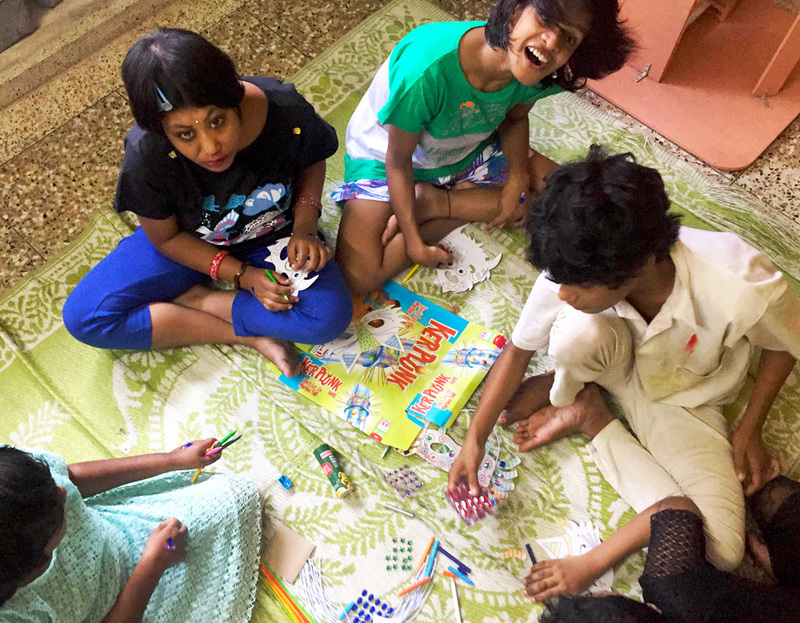 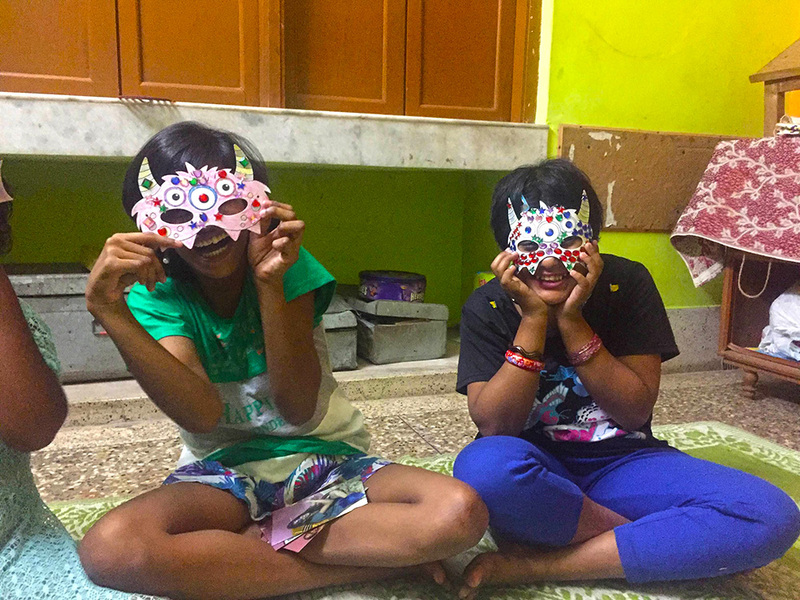 Independence Day falls on August 15th and has always been celebrated at shuktara. 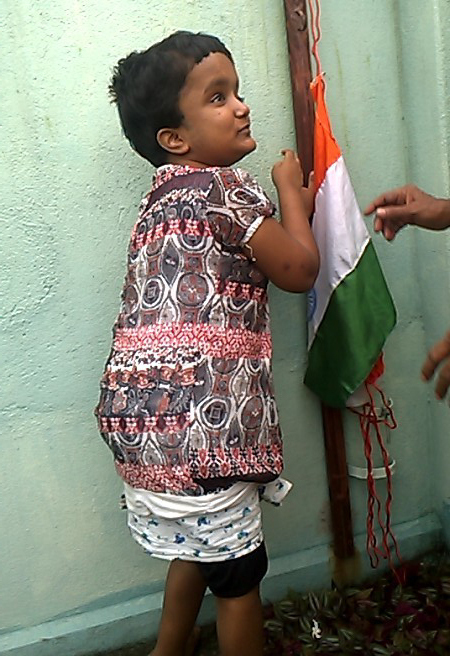 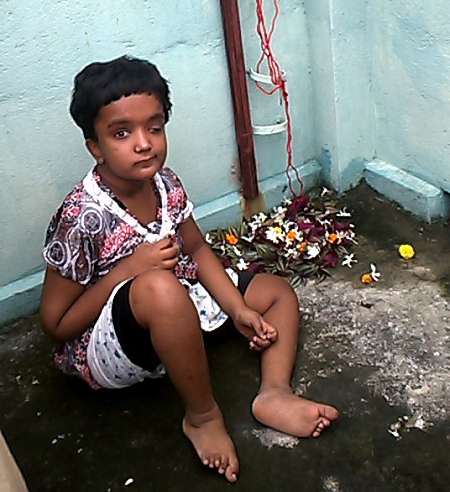 These photos are of the girls at Lula Bari, raising the Indian flag and throwing flowers. 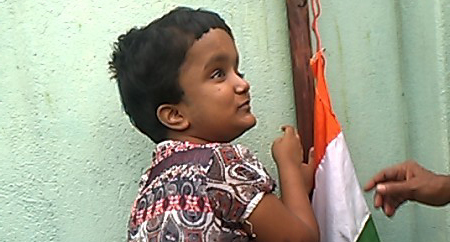 This year Moni was chosen to raise the flag, probably for the first time in her life. 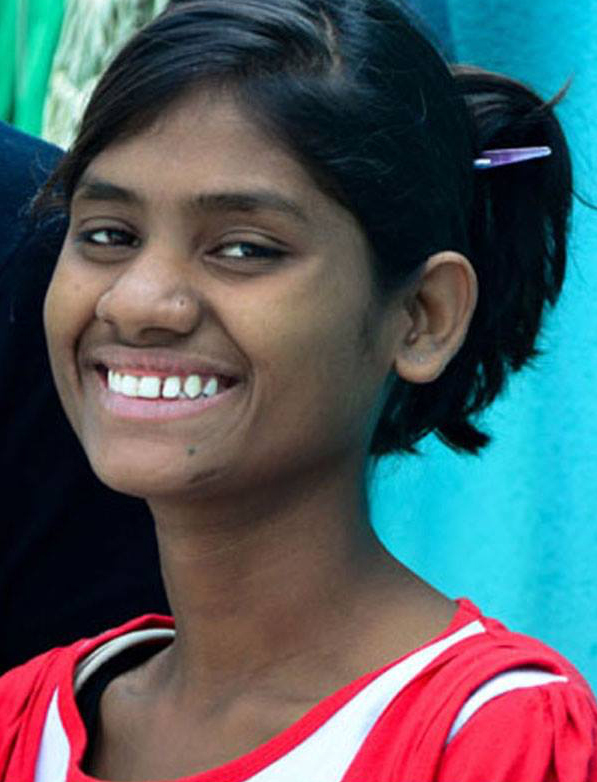 For more about Moni please click here. 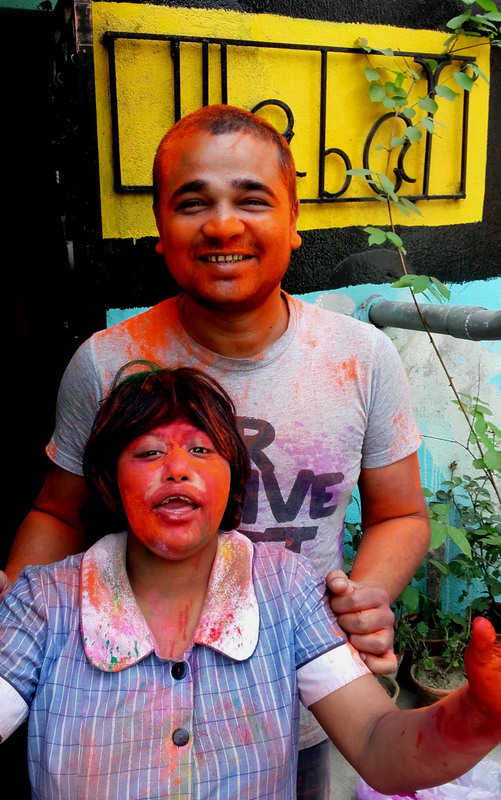 Lali and Ipshita… and more photos! 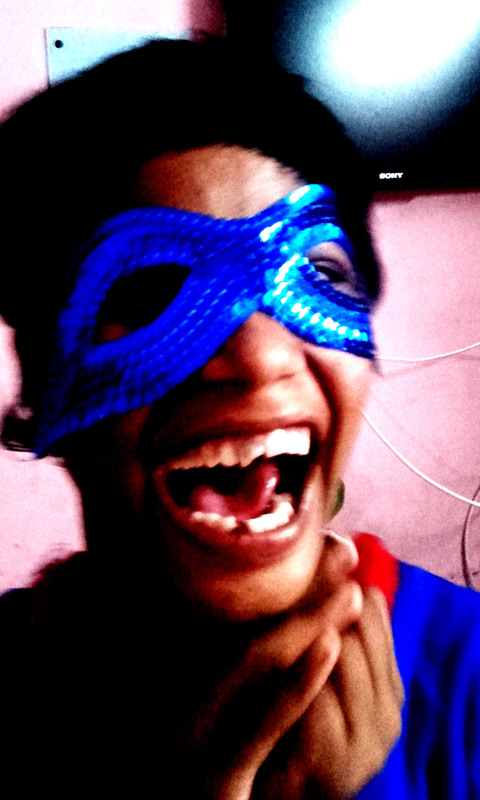 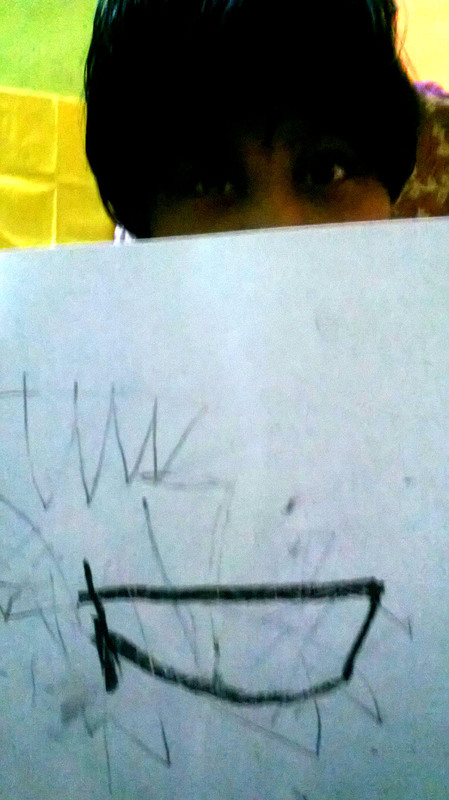 Just click on a button below to go to that person's page and see a gallery of some of their best photos. 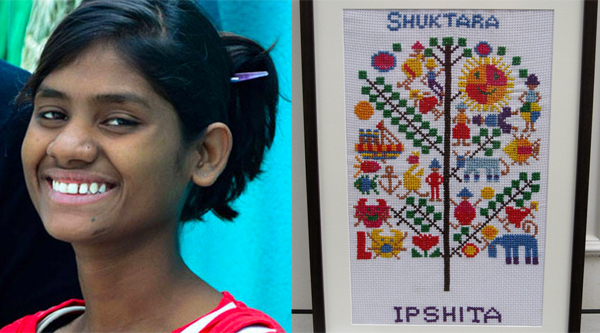 This tapestry by Ipshita who lives at Lula Bari, our girls home here, was done especially by her for Audrey Earp, (David's mum) who has donated it to the church in thanks for their support of shuktara. 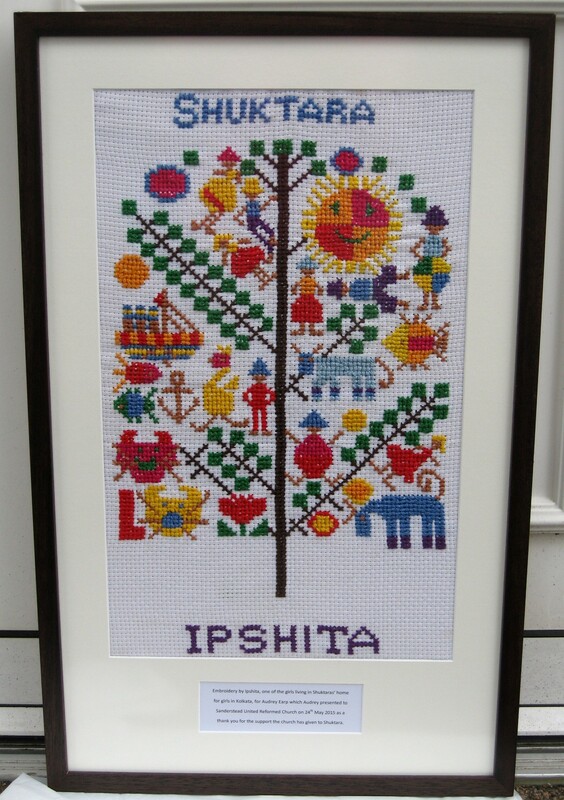 Thank you to everyone involved, especially Ipshita for the beautiful hand work.